In today’s world, a visit to the dentist shouldn’t be scary. With modern technology, we can deliver state-of-the-art care and deliver the highest quality in comfort and convenience. At Thomas and Roskos, we strive to keep your teeth in maximum comfort, health and cosmetic appearance — for the rest of your life. 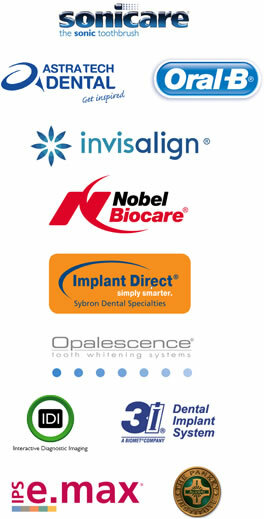 You can rest assured that you will receive the best services and care in the dentist industry. Our doctors and staff are experts, and they continually pursue expanded dental education to serve you. We use the most advanced sterilization methods to ensure that your visit is safe. 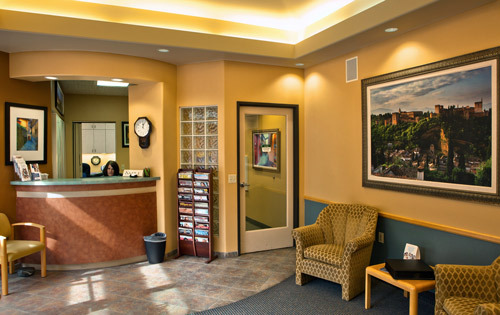 In fact, we pride ourselves in providing thorough comprehensive dentistry in a professional, yet fun environment. Our major crossroads are McClintock and Elliot in south Tempe. The office is easily accessible by the I-10 or Loop 101. We are located on the northwest corner of McClintock Drive and McNair, just north of Elliot. Dr. Stephen Thomas is a Tempe, Arizona native. An alumnus of Corona del Sol high school, he attended BYU for his undergraduate studies and then attended the University of Louisville School of Dentistry. 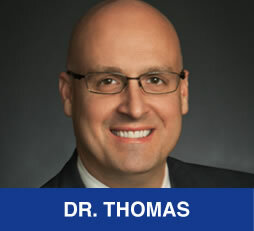 Dr. Thomas is committed to keeping up with the latest in dental technology and techniques. His hobbies include photography and accompanying his father on outdoor adventures. He also enjoys exploring wilderness areas on his four-wheeler. His favorite places to visit are San Diego and northern Utah where he often vacations with his family. He lives in Chandler with his wife Janae and his two sons, Dallin and Weston. Dr. John M. Roskos, DMD, has been practicing dentistry for more than 13 years. He obtained his undergraduate degree in 1990 in his home state of Alabama. Dr. Roskos then went on to the University of Louisville where he graduated with his DMD degree in 1994. However, his educational pursuits continue as he regularly attends The Pankey Institute for Advanced Dental Education and trains with the Bioesthetics Institute for TMJ therapy. Dr. Roskos is specially certified in implant dentistry and regularly attends the Las Vegas Institute for Cosmetic Dentistry. Aside from his private practice, Dr. Roskos is committed to community outreach, working extensively in the Christmas Angel project and the Dentistry Without Borders program. He lives in Chandler, AZ with his wife, son and daughter. 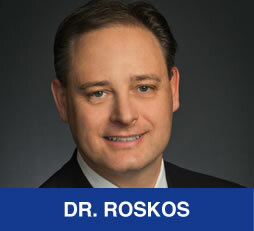 Dr. Roskos enjoys spending time with his family, participating in sports and traveling. "If you are looking for a reliable and professional dental office that you can trust, look no further. Since my first appointment, I was confident that I was at the best in town. The amazing front office team makes setting appointments and billing as easy and painless as the dentists make the procedures. The hygienists and assistants are professional, knowledgeable and caring. The doctors are compassionate, gentle and go out of their way to help you understand your dental health. As crazy as it sounds, I actually look forward to going to the dentist now, which is a lot less often now that Doctors Thomas and Roskos are in my corner. I won't trust my smile to anyone else."